Nice posters. Very classy. Very stylish. Very dark. The choice of cutting the stars’ head in half is a little odd, but you can still tell who those people are, so I guess it’s okay. 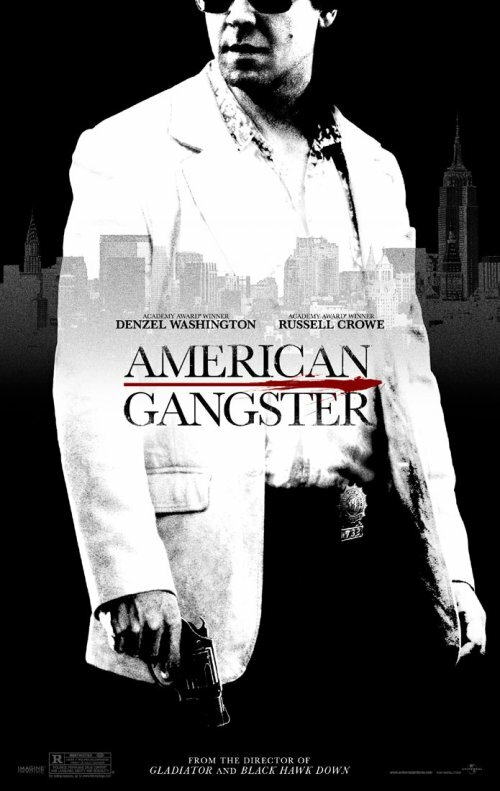 However, I do think that the Denzel Washington one has a little too much black and not enough white. The lack of contrast makes the poster stand out less. The Russell Crowe one, on the other hand, grabs your attention immediately. 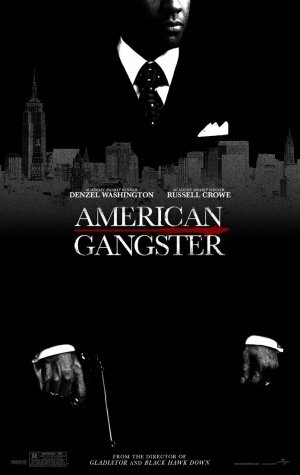 American Gangster only opens on November 2nd, so we should still see some other posters for it coming out. But so far so good.